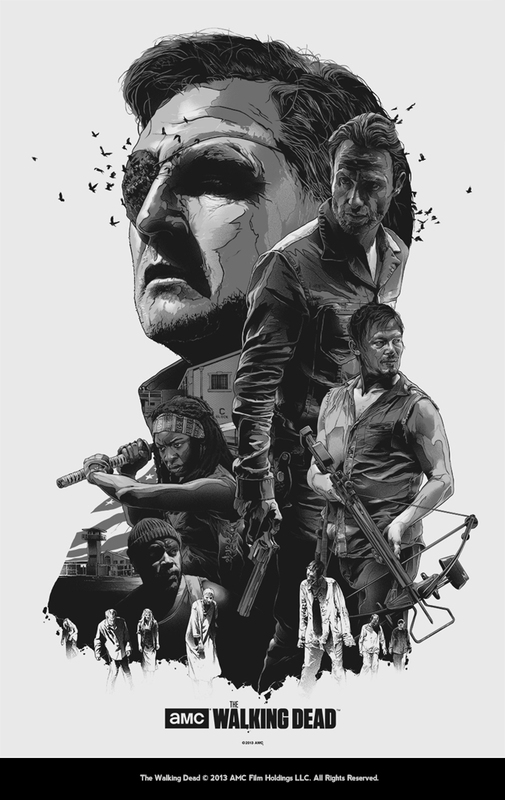 Tonight…Friday, October 11th, from 7-10pm, on the eve of the Season 4 premiere, Hero Complex Gallery celebrates: AMC’s The Walking Dead! You can read all about HERE on an earlier post. 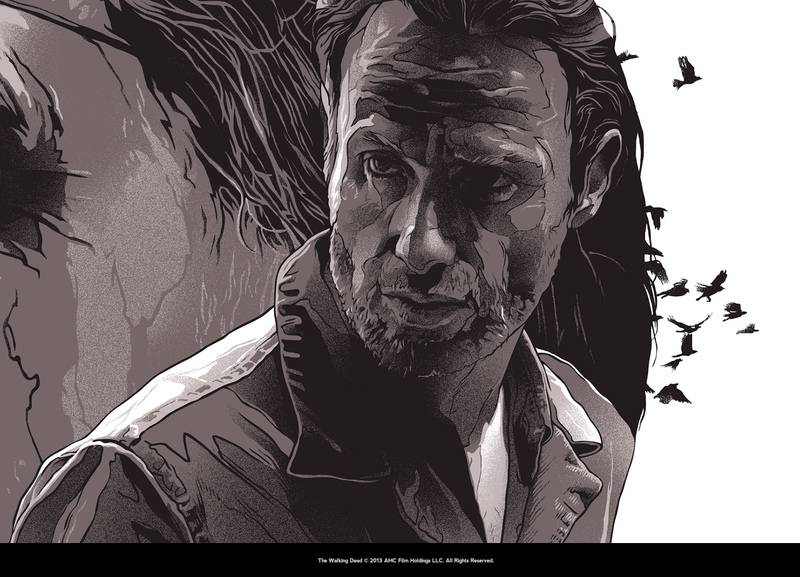 I had to write a second post to showcase this amazing art from the Polish Illustrator, Graphic Artist, Artist Gabz (Grzegorz Domaradzki)! 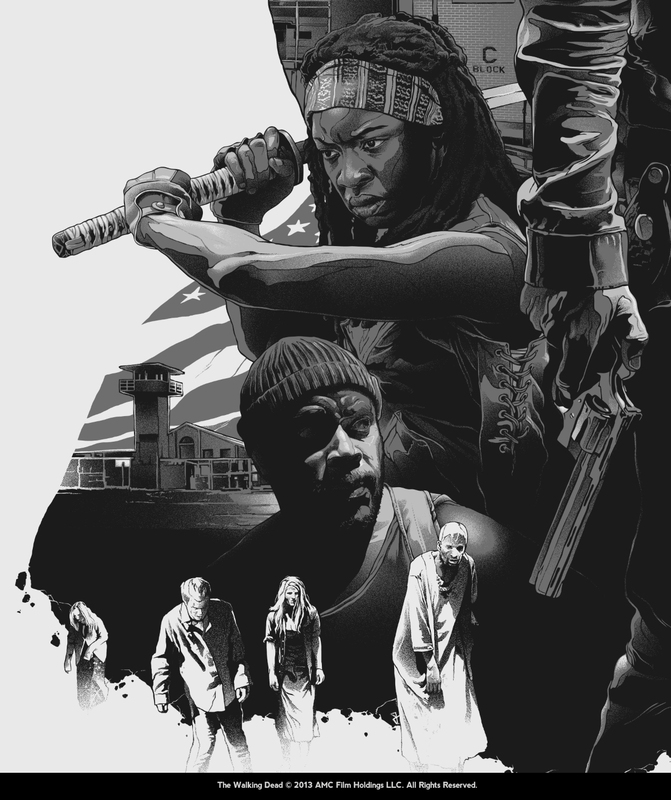 Lovingly depicted in this powerful print are the hit tv show’s key characters: the malevolent Governor, heroic Rick Grimes, fan favorite Daryl Dixon, Katana-wielding Michonne, “Hammer Time” Tyreese and a whole bunch of hungry zombies. 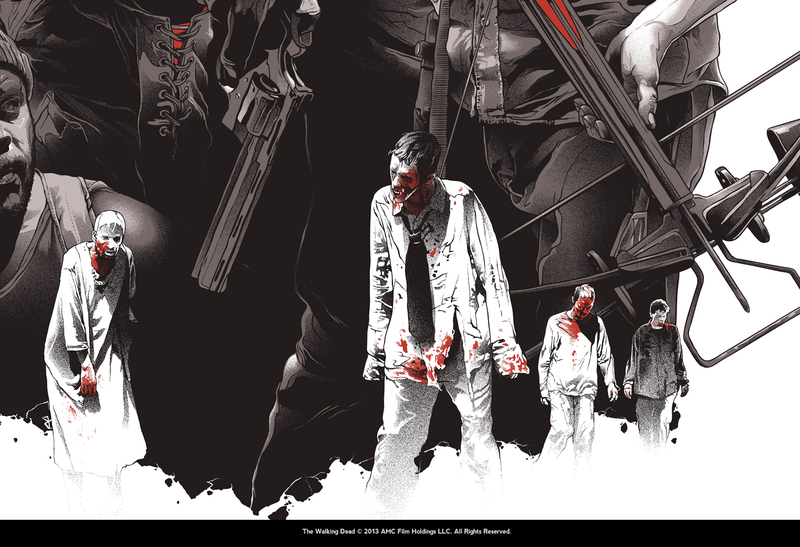 So put on your best tattered brain soaked shirt and shamble over to Hero Complex Gallery tonight and check out the art show that people will be talking about for years!